Arguably one of the fasted growing national sports in Aotearoa, the Waka Ama Sprint Nationals will make their welcome return to Māori Television for 2018, with streaming coverage broadcasting live and direct from Lake Karāpiro, Cambridge from the 15th to the 20th January. Hosted by Te Arahi Maipi, the 6 hours of live coverage will be captured from all angles, placing viewers at the heart of the action. Race coverage will be interspersed with profiles, interviews and news from the field, brought to you by Rahia Timutimu, Mataia Keepa and Professor Hoturoa Barclay-Kerr. With 3500 paddlers registered to take part in the 2018 Nationals, the competition will be running hot. Teams are also competing to qualify for the World Va’a Sprint Club Championships which take place in Tahiti from the 16th to the 26th July 2018. Viewers can expect to see world class performances at Lake Karāpiro this summer, after New Zealand took away an impressive 79 medals (30 Golds, 27 Silver, 22 Bronze) from the Worlds in 2016 and smashed a total of 9 world records over the 10-day global competition. For the first time, New Zealand ranks as the number one Va’a Sprint paddling nation. Our nation’s passion for Waka Ama was reignited in the late 1980’s, inspired by Tahiti’s longstanding national embrace of outrigger canoe culture and its ability to unite people and families as an advocate for healthy living. The latter part of the 80’s decade saw canoe clubs arise throughout Aotearoa and the first Waka Ama National Championships were held at Lake Karāpiro in 1990; going on to become an annual fixture. 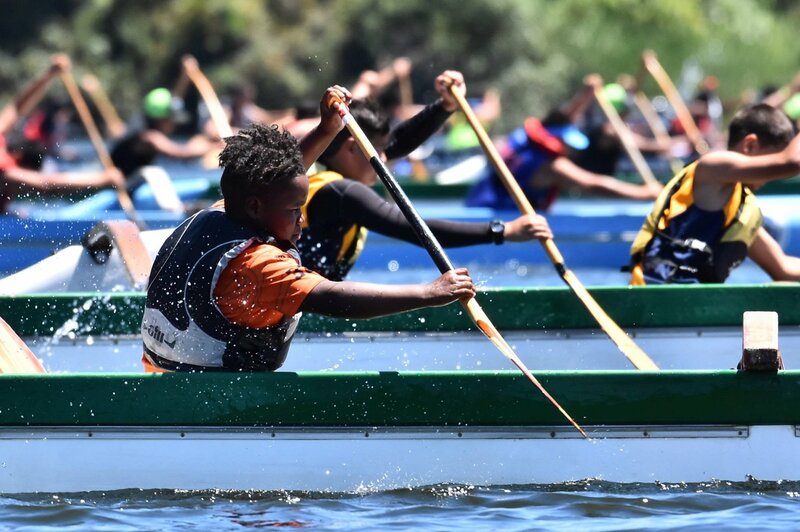 The sport of Waka Ama is inclusive with men, women and children aged from 5 to 80 years competing, often representing up to 4 generations of whanau at one time. Waka Ama in Aotearoa continues to experience rapid growth. Since 2012 Waka Ama membership has doubled and every year the number of paddlers swell. The 2018 Waka Ama Sprint Nationals are covered with the assistance of Te Mangai Paho and Te Wānanga o Aotearoa. Full racing and broadcast schedule to be released in January, check www.maoritelevision.com for further details.